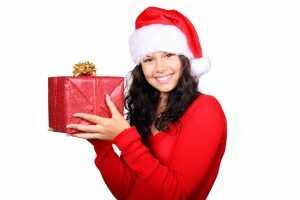 Stay Out Of Debt With Holiday Loans! With money kept on a tight budget, how can you possibly manage to buy gifts for all the important people in your life without going completely broke? It’s hard enough in the winter, being low on money certainly won’t help. Fortunately, the holiday loans experts at My Tio Rico are here for you. We have plenty of temporary financial relief options ranging from auto title loans to holiday loans. Here’s some ways you can maintain a solid number in your bank account while still enjoying the holiday cheer with your friends and family. Have you ever participated in a Yankee swap? This holiday activity is not only fun for everyone but also means you only have to buy one gift. Wow! Saving time AND money! Try suggesting this to those who attend your annual holiday get together. Homemade gifts are a great way to have fun and show you care! Do some research on how to make body scrubs or candles! These activities are fun, enlightening, and might just turn into your next hobby. Stop by a local craft store for other ideas on how to save money DIY style. If you’re tight on money, using a credit card to pay for gifts is probably not the best option for you. It turns out the average interest rate on a credit card is right around 15%. That means you’re going to be paying for those gifts long after they’ve opened up on Christmas day. Instead, take a look at My Tio Rico’s holiday loans program. You could also apply for an auto title loan or a personal loan. Some of these programs don’t even require interest! It’s likely that your credit card company offers rewards. Do a little research on programs you are eligible for and take advantage of them now. Because people tend to spend a lot more during the month of December due to the holidays, it’s possible that you could pick up some extra cash back or other goodies just by swiping your card! It’s never too late to get ahead for next year. You may have little to work with this holiday season, but if you start saving now for next year by setting aside $50 each month, you’ll have $600 you can happily spend on the whole family during the 2017 holiday season. By sticking to a plan like this, you won’t have to break a sweat when you start hearing those bells jingle come next November. Our biggest and most useful tip (no matter what the occasion or time of year!) is to always plan ahead. Planning ahead is not only the best way to avoid any unwanted holiday debt, but it also allows you to relax during what tends to be a pretty stressful time of year when it comes to finances. If you need some extra cash right now, don’t hesitate to contact one of our holiday loans experts. My Tio Rico is here for you! All you have to do is fill out the simple form to your right and one of our experts will be in contact with you.